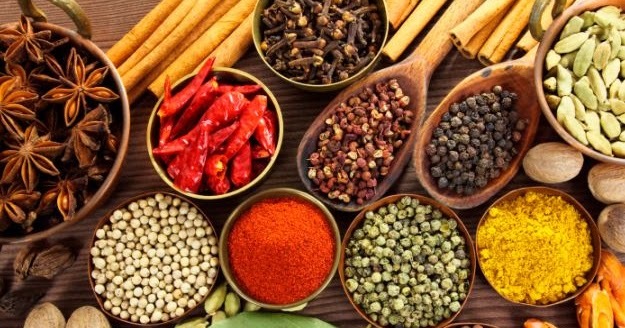 Indian Spices exporters have a very successful business altogether because as far as Indian food is concerned, it just cannot be done without the vast array of spices. The very taste and aura of Indian food comes from its brilliant spices that are concocted and added generously and that is what leads to the rich fulfilling taste that you get from all those well cooked food. However there are a vast range of spices that are present and the Indian Masalas exporters seem to have all kinds in their collection. You will be surprised to know the range of spices that are available, while some are dry roasted, some can be blended using a pestle, and it depends on how one would prefer to use them while they cook their food. Usually the use of a blender is advised because they taste much better when added as they are more finely crushed. Beginning with cardamom, there are two kinds in Indian spice- black and green, Green cardamom is the one that is used most commonly and a lot of it is used in Indian Desserts. Green cardamom is preferred for its sweet and light taste. On the contrary, black cardamom is much stronger and has a very powerful fragrance; normally people make use of only the seeds, since it is too spicy it is best advised that the pod is pulled out before using. As the titles goes, cloves are one of the commonest spices used in Indian cooking and usually it can be very easily spotted in most f the dishes. It has an extremely strong smell in its flavor. What you need to know about their preparation is that these cloves have a lot of oil that is drained out of it before they are ultimately dried and then used in the cooking of the dish. Whether you want to use it as a whole or you want to blend it and add it is up to you! FOR THAT MODERATELY HOT FLAVOR – ADD SOME BLACK PEPPER! You will be surprised to know that black pepper is a very hard spice to grow and find, the reason being that its growth depends heavily on a lot of natural cycles year round. Rainfall plays a very heavy role in its growth and that is what determines the price of freshly grown black pepper. If you want you can toast this pepper before you blend them, depends on how you would want it. Cumin is most easily distinguishable because of the very strong fragrance that it emits when added to the dish being cooked. They look like dense brown seeds and is often confused with other similar looking seeds in the lot such as fennel and caraway, but you can easily make out which seeds are cumin looking at their color and once the fragrance hits your nostrils. You can get the real taste of cumin when you freshly ground it and then add it. One tip you need to keep in mind is that cumin burns very easily and gets really bitter, so be careful when you are dry- roasting it. GO OLD SCHOOL WITH A BIT OF CORIANDER! Keeping aside its impressive golden- yellow coloured texture, coriander easily qualifies as one of the oldest spices being used in Indian food since ages. It goes without saying that the seeds have very detailed specifications of citrus notes and are extremely aromatic in taste. You can make use of coriander either in its whole form or ground it before adding, you can even have it dry roasted like cumin if you prefer so. WITH A VARIETY OF COLOURS- COMES THE MUSTARD SEEDS! There are a variety of colours that you will find these mustard seeds in, namely yellow, brown and black. They are alternatively used for various dishes in cooking. If you really want to get the fragrance of these seeds and enjoy its flavor in its best form, they should be crushed or rigorously cooked in oil. Their smoky flavor is easily identified in various curries and curry powders and mustard oil is one of the most staple ingredients you will find very popular in North India. This entry was posted in exporter, indian spices, Indian spices exporters, Indian Spices Wholesaler, Spices exporters, Spices in India, Spices Masala and tagged Indian spices, Organic Spices, spices Mumbai, whole spices. ← How To Deal With Bulk Spice Exporters?